How Do I Pay for a Bankruptcy Attorney? If you’re struggling with significant debt and are looking for ways to repay your creditors, bankruptcy may be an option for you. Bankruptcy is a way for consumers to hit refresh on their financial lives, giving them a chance to discharge or restructure their debts, providing some breathing room and an opportunity to move forward on surer financial footing. There is a prevalent belief that bankruptcy is a time-intensive and financially expensive process. And while this is true in some circumstances, the actual details of every situation will vary from case to case. In many cases, it might help provide some clarity if you consider the costs of bankruptcy proceedings – including filing fees, expenses, and attorney’s fees – against your outstanding debts. How do they compare? In the short term and the long, declaring bankruptcy may be a way to save thousands of dollars, and provide you with invaluable relief and peace of mind. But so, the fact remains, bankruptcy will come with certain costs. How can you pay for these expenses – especially the services of your legal professional? In many cases, paying for professional help is much more manageable than you might think. There are many strategies out there that can help, and a truly trustworthy and credible legal professional is most likely going to be willing to listen to your situation and work with you to find a solution that can meet your needs. The reality is that, in the state of Illinois, you do not need an attorney in order to file for bankruptcy. Strictly speaking, this is a process that you can undertake alone. But, at the same time, consider that the bankruptcy process can be long. It can be complex and multi-faceted. There are many moving parts, and different aspects and questions to consider at every step of the way. A legal professional can be an absolutely invaluable resource, one who can help answer any questions you might have, deal with any complications that might arise, and generally ensure that the right paperwork gets in front of the right people at the right time, with all of the i’s dotted and t’s crossed. This isn’t just anecdotal. Per reports, a Chapter 13 bankruptcy case filed pro se (that is, without the aid of an attorney) has about a 1% chance of being successful. For Chapter 7, that number rises to less than 50%. What about alternatives to bankruptcy? In some cases, consumers may be able to get a handle on their debts without formal bankruptcy proceedings. Again, an attorney can be a vital partner here; many will be able to offer counseling and give you a chance to assess all of your options, to determine if bankruptcy or an alternative strategy will be the best choice for you. And remember, legal professionals are held to higher legal and ethical standards than “debt negotiators” you may see advertise on TV or online. While some of these businesses who advertise that they can consolidate your debts or get you debt settlements that save you a lot of money may be trusted, others will not be so trustworthy. In our experience, many people desperately seeking an honest way out of debt have found themselves paying big fees to debt negotiation firms without getting the protections from creditors that bankruptcy provides — so they end up in bankruptcy later anyway because these firms ultimately misled them. At the same time, attorneys offer protections from debt and other legal benefits that third party companies cannot provide. So, once the decision is made to bring on legal help for bankruptcy, the question becomes how to pay for it. 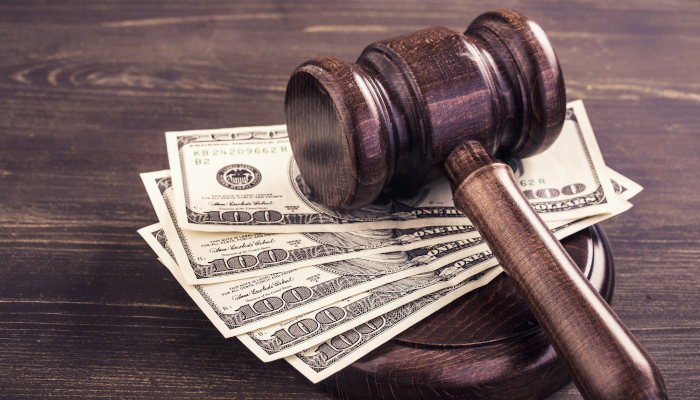 It’s easy to see how the idea of paying an attorney’s fees – on top of some the other costs associated with bankruptcy – may seem intimidating. In practice, however, these fees do not need to be daunting. In many cases, bankruptcy attorneys will allow clients to pay through a repayment plan. With this arrangement, you’ll only need to pay a set fee upfront, and cover the rest over time. Similarly, if you are filing for Chapter 13 bankruptcy, the ultimate goal is to pay off creditors by restructuring debts and creating a repayment plan. In this case, you may be able to include attorney’s fees as part of this repayment strategy. Finally, remember that some firms, such as the Gunderson Law Firm, offer a free initial consultation. This strategy meeting can be invaluable. For instance, when you sit down with our team, we’ll discuss whether bankruptcy is a viable option for your unique situation. If not, our team may be able to help offer alternative strategies. And, in this meeting, you’ll also have a chance to discuss pricing, fees, payment plans, and other financial details in some depth, if you wish. If you’re sincerely considering bankruptcy as an option for coping with severe indebtedness, then you shouldn’t let factors such as attorney’s fees hold you back from exploring the process in more depth. In most cases, the long-term and short-term upside may be worth any costs, and fees and expenses may be more flexible and manageable than you may think. Want to talk over bankruptcy, and other strategies to help you and the people you care about escape the grip of debt? The Gunderson Law Firm is here to field any questions you may have. At the Gunderson Law Firm we believe in second chances. We believe in realistic financial planning. We believe in you. If you, like millions of others, have found yourself in over your head give us a call. We are here to help you leave past debt in the past.